Before starting university, Edward’s future career plan was to get a job that paid enough to support the lifestyle he wanted; he was interested in Computer Science degrees because working with computers could be that kind of job. A lack of confidence in his academic abilities and an A level combination that did not include Maths and Sciences lead Edward to believe he would not be able to study pure Computer Science but this has proven not to be the case. During his time at Lancaster, Edward has taken the opportunities on offer to hear other people’s perspectives on their working lives and attended events where Careers have invited successful people to visit the University to talk about their career paths. From these experiences, he has developed a better understanding that it is possible for an individual’s way of earning a living to be integrated into the purpose of their life. His career planning has therefore shifted away from jobs offering a combination of low stress and a good salary towards careers that are interesting and rewarding in themselves, even if demanding. The three day Future Leaders Leader Experiences Programme organised by Careers provided him with valuable opportunities for individual discussions with successful leaders including how they viewed work-life balance within the context of their lives. He found that the breadth of input from leaders from different economic sectors allowed him to identify common themes in their careers that lead to their successful lifestyles. It is the combination of access to these kind of inputs and the university environment of growth and curiosity, that has made the difference for Edward; he thinks that the very big change in his perspective towards a more ambitious mindset would not have happened if he had stayed in his hometown. Edwards’s summer internship in the UK and Ireland’s largest digital automotive marketplace required him to commute daily into central London from Surrey. The cost of this would have used up of a fair bit of his wages but a Summer Work Experience Bursary from Careers made a significant contribution to his travel costs. 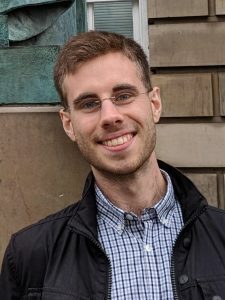 For the future, Edward is looking at PhD research options that would combine his long-standing interests in psychology and philosophy with Computer Science; he is interested in researching how developments in computing and society influence each other. Edward recommends that all students make contact with Careers to get personalised advice including what is on offer that might be relevant to them and how to access these opportunities, even if initially they only have vague ideas and questions.